Geology and Geological Engineering, Ph.D.
Professors L. Anderson, Duke, Paterson, Price and Uzunlar; Associate Professor Masterlark; Assistant Professors Belanger, Oner and Pagnac; Professors Emeritus Fox, Lisenbee, Martin and Redden; Adjunct Professors Benton and McCormick; Adjunct Assistant Professor Bapst; and Haslem Post-doctoral Fellow Boyd. Professors Davis and Stetler; Assistant Professors Katzenstein and Sawyer; Professor Emeritus Rahn; Adjunct Faculty M. Anderson, Iles, Long and Roggenthen. The Department of Geology and Geological Engineering offers advanced study leading to M.S. and Ph.D. degrees in geology and geological engineering. Students must elect to pursue either a Geology Specialization or a Geological Engineering Specialization, each of which has different background requirements and program requirements. The available coursework and current faculty expertise support the following areas of concentration. 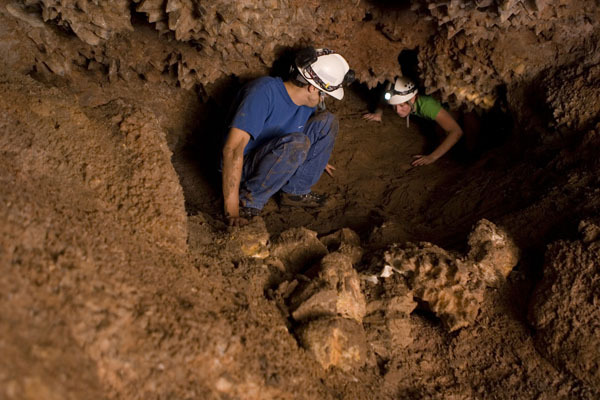 * Students concentrating in Paleontology at the Master‘s level may apply for the separate M.S. in Paleontology. Background Requirements for M.S. and Ph.D. The Graduate Record Examination (GRE) is required of all applicants. The TOEFL exam is required for students whose native language is not English. Incoming students are expected to have substantial preparation in general science, math, and geological sciences; successful applicants will ideally have completed the subjects listed below. The student’s graduate committee may require that deficiencies important to the student’s area of interest be remedied by taking additionals undergraduate courses that will not count towards the graduate degree requirements. Incoming students are expected to have substantial preparation in science, math, geological sciences, and engineering; successful applicants will ideally have completed most of the subjects listed below. The student’s graduate committee may require that deficiencies important to the student’s area of interest be remedied by taking traditional undergraduate courses that will not count towards the graduate degree credit requirements. Admission to the Ph.D. program in Geology and Geological Engineering is normally limited to qualified students who have already earned an M.S. degree in geology, geological engineering, paleontology, or a related field. Students holding an M.S. but with extensive undergraduate deficiencies may be placed into the M.S. program in Geology and Geological Engineering until these deficiencies are remedied. Students with a B.S. degree who apply to the Ph.D. program will be admitted to the M.S. program in Geology and Geological Engineering until they have accumulated sufficient course credits for an M.S. degree. Students placed into the M.S. under one of these two circumstances will be admitted to the Ph.D. program after passing the qualifying exam. All Ph.D. students are expected to take a qualifying exam to demonstrate their potential for independent research. Students entering with a B.S. degree will take the examination in the semester immediately following the completion of 24 credits of graduate coursework. Students placed in the M.S. due to undergraduate deficiencies must take the qualifying exam in the semester immediately following completion of all deficiencies. Students entering with a completed M.S. degree will take the qualifying exam before the end of their second semester in residence. To pass the qualifying exam, the student must 1) complete all undergraduate deficiency requirements, 2) submit a valid Ph.D. Program of Study to the department head; 3) complete a literature search and paper on a topic related to the student‘s area of concentration; and 4) present and defend the paper in an oral examination by the department faculty. The paper should reflect a sustained effort and culminate in an analysis of potentially significant research problems. The identified problems need not match the eventual dissertation topic. A minimum of eighty (80) credit hours are required beyond the B.S. degree. At least fifty (50) of these credits must be for coursework. Up to twenty-four (24) course credits and six (6) research credits from the M.S. degree can be applied toward the total required credits if the student‘s committee agrees. The candidate’s committee is responsible for assisting the student in developing a program of study that prepares the student for his/her intended field as well as provides general knowledge for the discipline. It is recommended that six (6) to twelve (12) hours of coursework be taken outside the department. is required the first fall semester of enrollment. also is required. In addition, the program of study must include at least one GEOL/GEOE/PALE course emphasizing field methods, one GEOL/GEOE/PALE course emphasizing analytical methods, and one GEOL/GEOE/PALE course emphasizing computational methods. The student’s advising committee determines the courses that meet these criteria. All Ph.D. students in the Geological Engineering specialization are expected to focus in one of the three areas of groundwater/environmental, geomechanics, or energy/mineral resources. The candidate’s committee is responsible for assisting the student in developing a program of study that prepares the student for his/her intended focus. Research Methods is required the first fall of enrollment. also is required. In addition, the program of study must include at least one GEOL/GEOE course emphasizing field methods, one GEOL/GEOE course emphasizing analytical methods and one GEOL/GEOE course emphasizing computational methods. The student’s advising committee determines the courses that meet these criteria. The dissertation proposal is part of the comprehensive examination. All Ph.D. students are required to prepare a research proposal for the work to be accomplished for the dissertation. The proposal is due one month prior to the comprehensive examination, so that the candidate‘s committee may review the proposal to evaluate whether it is defendable. If not, then the student will have an opportunity to resubmit, although this may alter the final date of the comprehensive examination. When the student‘s program of coursework has been substantially completed and dissertation proposal prepared, he/she will undertake the comprehensive examination for admission to candidacy. This examination should normally occur after the student has spent four semesters in the Ph.D. program, but must take place at least four months prior to the final defense. The comprehensive examination will consist of written and oral examinations covering the student‘s field of study and related subjects. It will be prepared by the student‘s advisory committee, with potential suggestions from any faculty member from whom the student has taken a graduate course. The oral examination is open to any faculty member, but must include the candidate‘s full committee. If the student has not completed all requirements for the Ph.D. degree by the fifth year following the comprehensive examination, his/her active candidacy status will be automatically terminated and the comprehensive examination must be repeated. No later than two (2) months prior to the examination date the student must make a request to the student‘s committee to take the Comprehensive Examination. The dissertation research proposal must be submitted at least one month prior to the examination date. The examinations will consist of four parts, all of which must be completed within one working week. The examination may be scheduled for spring and fall semesters only, but not during the week of final examinations or the last week of classes. The written examinations will be graded prior to the oral examination. The oral examination will last approximately three hours. It will begin with an oral presentation of the dissertation proposal by the student, who will then undergo an oral examination by the committee that may include questions concerning the proposal, the written exam topics, and any relevant subject area related to the student‘s research. The written examination will consist of three parts: one general, and two specific topics. Each part of the written examination will be three (3) hours in length. A student may substitute successful completion of the Fundamentals of Engineering (F.E.) examination for one of these three (3) parts. A student may propose hybrid fields with other disciplines if approved by his or her graduate committee.